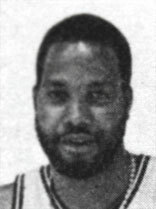 Drafted: Selected by the Chicago Bulls in the second round (30th pick overall) of 1982 NBA Draft. Quick Facts: Bryant spent his high school days in Gary, Indiana. He played for 3 NBA teams - Chicago, Dallas, and the LA Clippers - before retiring in 1986. Wallace then went on to play for International teams Ford Cantu, Yoga Bologna, and Filodoro Napoli. He coached the USBL team, Jacksonville Wildcats, before they became defunct in 2007.